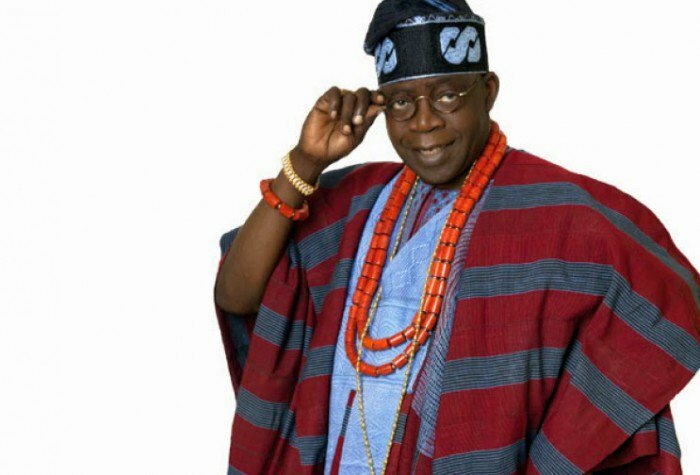 All Progressives Congress (APC) stalwart Asiwaju Bola Ahmed Tinubu will never stand in any contest against President Muhammadu Buhari or support anyone against him, his Media Office said yesterday. Tinubu pledged his continued loyalty to the president and the APC in a statement to debunk Thisday’s story published yesterday. 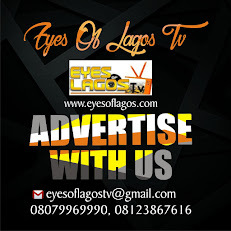 The statement titled: “Response to Thisday false news report” added that the former Lagos State governor was neither planning a team nor holding consultations with the intention of planning any presidential campaign. It also said Tinubu would never join the Peoples Democratic Party (PDP) or any mega party, having laboured hard to bring the APC to life and power. The statement said: “The front page story of the February 28 Thisday newspaper alleging that Asiwaju Bola Tinubu is actively planning a presidential run is an example of bad fiction masquerading as professional journalism. “The story is a manufactured tale weaved by its authors to try to create division where there is none. “Those who wrote this fantasy seek to place Asiwaju Tinubu at odds with President Buhari. Writing such a baseless report is a very foul and wrong thing to do. “The story carried the headline ‘Tinubu Prepares for Presidential Run, Dumps PDP, Mega Party Alliance’. The headline is remarkable in the fact that every bit of it is utterly wrong. “First, Asiwaju Tinubu is not gearing up for a presidential run. So there will not be any doubt about this core matter; we shall state Tinubu’s position clearly and unequivocally so that even Thisday reporters cannot misinterpret his position. “As long as that patriotic and committed man named Muhammadu Buhari holds and seeks to hold the mantle as our president, then Asiwaju Tinubu stands behind him in unwavering support and confidence. “Asiwaju Tinubu remains faithful to the mission of progressive reform and change that President Buhari, he and the All Progressives Congress (APC) have started. “Tinubu was instrumental in the formation and success of the APC. His toil and efforts helped establish this government. He is not one to tear down something he laboured so dutifully to build. “Instead of trying to convey the truth, the THISDAY report opted to gain false sensation by completely mocking the tenor of the brief banter Asiwaju Tinubu had with journalists at the inauguration of Ondo State Governor Oluwarotimi Akeredolu. When asked about future political office, Asiwaju said he could not discount that possibility if the nation called upon him for such service, provided, he emphasised, that all political conditions were appropriate; particularly the office in question would have to be vacant, even if it’s local government chairmanship. In our political lexicon, this means the office is not held by a member of the APC in good standing. We all know this. “Moreover, if you really listen to his words, Asiwaju did not mention any office or any time-frame. The conditions he mentioned may not become ripe for years to come and they might not pertain to the presidency. In effect, all Asiwaju said was the position that any political figure would hold. “As a politician, he cannot preclude the possibility of running for office in the future because no man knows what the future will hold. To translate this general statement of political reality into a tale that he is actively preparing for a 2019 presidential run is reckless in the extreme. “For that newspaper’s reporters to have engaged in this great leap of counterfeit logic means they purposefully bowed to the pressure to create false headlines instead of following the ethics of their craft to follow the truth even if the truth is more pedestrian and less volatile than what the reporters would have liked to hear. “They have turned themselves into newsmakers instead of remaining true to their calling of being neutral conveyors of events. “Asiwaju Tinubu has not held any planning meetings for any such presidential campaign and is not contemplating any such meetings. He has no present list of possible running mates because he has no present intention of running. “The headline also libels Asiwaju by asserting he was going to join the PDP. This is as shameless as a lie can be. Asiwaju is acknowledged to be the intellectual father and the driving force behind the APC. “It makes no sense that he would abandon the party that he worked hard to build in order to enter the dilapidated building the PDP has become. Asiwaju worked for over 16 years to break the PDP yoke on the nation. “After breaking that yoke, it is not in his nature to voluntarily place it back on our necks. Anyone who has followed his career, even his staunchest critics, knows Asiwaju for his partisan consistency. He is not a party hopper. He is loyal and sticks with the party to which he belongs. “After fighting for so many years to elevate his party to the position of national leadership, he would not give that away in order to join with those who blame him for their currently bleak political circumstance. “We understand all too well the genesis of this false news report. For their own reasons, THISDAY has joined with those who seek to put Asiwaju Tinubu at odds with our President. “This scam will fail. Asiwaju supports and stands behind President Buhari. He wishes the president well and that he returns soon. Whether the president is here or away, he has the full loyalty of Asiwaju Tinubu.